Moguls are created when a piste or ski run is left un-groomed, as a result, when skiers and boarders make turns through the powder they cut up the run. Moguls are created when a piste or ski run is left un-groomed. As a result, when skiers and boarders make turns through the powder they cut up the run. Each turn cut grooves into the run and the accumulation of grooves turns them into ‘bumps’, these are known as moguls. Moguls get bigger and bigger as they are skied more. Sometimes moguls can end up as deep as your thigh from bump to valley. Check out this video to see how to ski moguls – or not! A couloir is a French word meaning ‘passage’ or ‘corridor’. In skiing it describes a narrow gully with a steep gradient in a mountainous terrain. A couloir is a French word meaning ‘passage’ or ‘corridor’. In skiing it describes a narrow gully with a steep gradient in a mountainous terrain. In the United States such terrain features are uncommon in ski resorts, however, they are more common in Europe. Couloirs are frequently considered to be part of the off-piste trails. Piste maps and trail maps rarely mark couloirs. Some exceptions to this include the Grand Couloir in Courchevel, France. Historically, this run has had various different classifications. At the moment, the French grade it as a black run under their grading system. 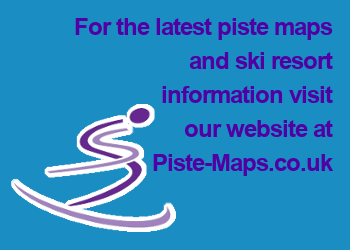 The best answer to this question is in our blog article: ‘What Is Champagne Powder?’ on our sister website; Piste-Maps.